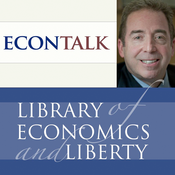 Historian and author Jill Lepore talks about nationalism, populism, and the state of America with EconTalk host Russ Roberts. Lepore argues that we need a new Americanism, a common story we share and tell ourselves. Along the way, topics in the conversation include populism, the rise of globalization, and the challenge of knowing what is true and what is false in the internet era. 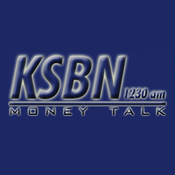 Law professor and author Robin Feldman of UC Hastings College of the Law talks about her book Drugs, Money, and Secret Handshakes with EconTalk host Russ Roberts. Feldman argues that the legal and regulatory environment for drug companies encourages those companies to seek drugs that extend their monopoly through the patent system often with insufficient benefit for consumers. The prices for those drugs are then protected from new competition. She also argues that the pharmacy benefit management system allows drug companies to exploit consumers. The conversation concludes with a discussion of what can be done to improve the situation. Philosopher and author Jacob Stegenga of the University of Cambridge talks about his book Medical Nihilism with EconTalk host Russ Roberts. Stegenga argues that many medical treatments either fail to achieve their intended goals or achieve those goals with many negative side effects. Stegenga argues that the approval process for pharmaceuticals, for example, exaggerates benefits and underestimates costs. He criticizes the FDA approval process for approving too many drugs that are not sufficiently helpful relative to their side effects. Stegenga argues for a more realistic understanding of what medical practice can and cannot achieve. Obstetrician gynecologist Amy Tuteur and author of Push Back, talks about the book with EconTalk host Russ Roberts. Tuteur argues that natural parenting--the encouragement to women to give birth without epidurals or caesarians and to breastfeed--is bad for women's health and has little or no benefit for their children. 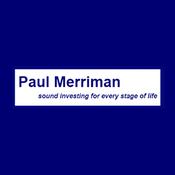 Lyt til EconTalk, Sound Investing - Paul Merriman og mange andre stationer fra hele verden med app'en radio.dk.